Fun card for your favourite teacher! 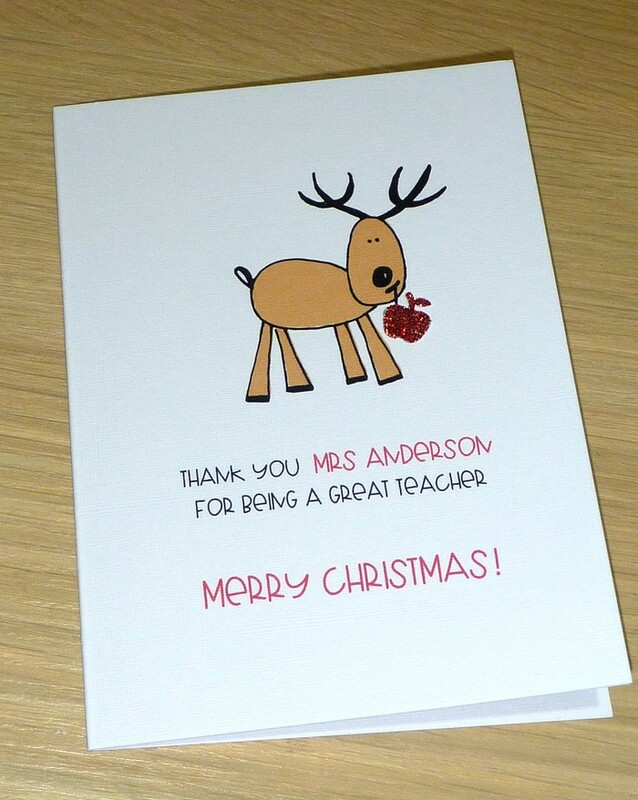 The white card features cute reindeer with thank you message and finished with a sparkly red apple. Each card measures approx. 14.5cm x 10.5cm and comes with envelope and sealed in a cello bag. ALL ITEMS ARE POSTED TO YOUR PAYPAL ADDRESS - PLEASE ENSURE THIS IS CORRECT.